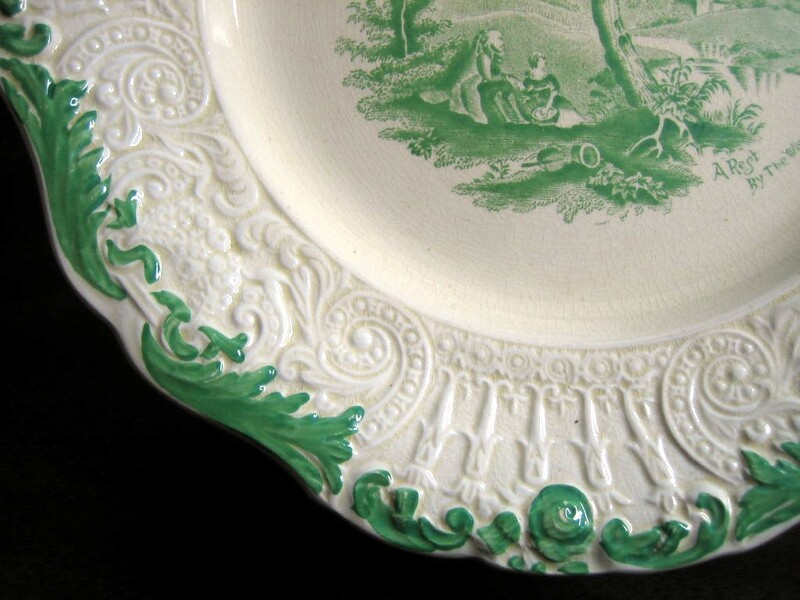 Click the button below to add the Shabby Green Cream Antique Toile Picnic Textured Edge Plate L to your wish list. 10.5". 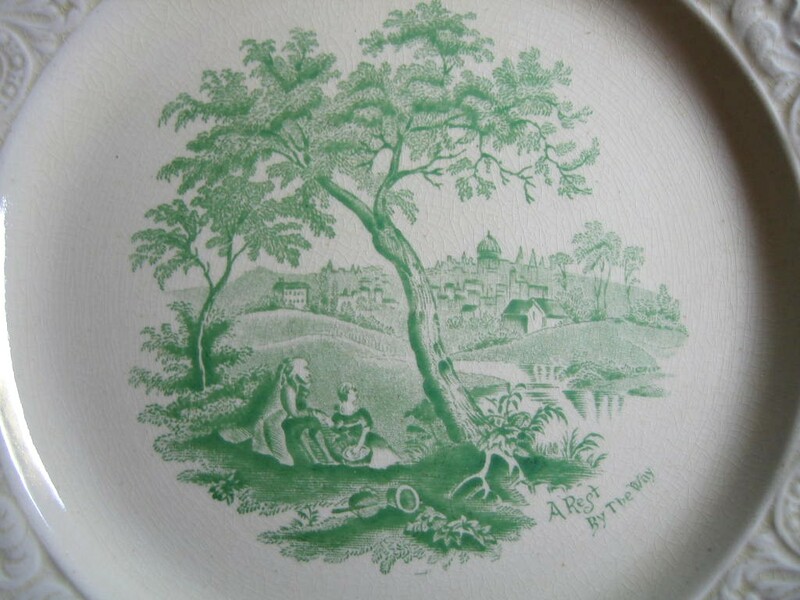 Very old (1920s) with yellowed glaze, crazing, wear on decal and some nicks and chips (ask if this is a concern for you). Couple resting near quaint village motif. Old so shows age and wear--ask if you have questions.